Is “The Star-Spangled Banner” Really Based on an Old English Drinking Song? As we approach the September 14, 2014, bicentennial of the United States national anthem, online resources about the anthem's history are multiplying. Such replication in the case of “The Star-Spangled Banner” is encouraging, but it also raises a concern when the sheer volume of information obscures reliable information.<1> Francis Scott Key's lyric may well be the nation's most frequently performed song, yet the remarkable and rich detail of its history is largely forgotten. The Banner-as-drinking-song claim is based on the notion that the melody used by Key<2> for his 1814 lyric is taken from the “old English drinking song” called “To Anacreon in Heaven” (AKA simply “Anacreon” and, most precisely, “The Anacreontic Song”). This was the “Constitutional Anthem” of the Anacreontic Society, a convivial amateur music and supper club that operated in London from 1766 until the early 1790s.<3> Certainly club members drank at meetings, and jolly good fun was vital to the society's fellowship and success. Yet, the implication of this tale of a star-spangled drinking song is rather that “The Anacreontic Song” was sung in London and early American pubs by enthused collectives of inebriated vocalists hoisting tankards of ale. Such an image, although celebrated on YouTube by a few vocal comedy troupes, runs counter to historical evidence of origin and use, and dead against the musical evidence provided by the song itself. Anacreontic Society meetings began not with boisterous song but with a two-hour instrumental concert of symphonies and chamber music, performed by hired professional musicians. The concert was followed by dinner and then several hours of singing, when catches, glees, and other songs were offered by a mixture of the more skilled club members and professional ringers. Other members made up the audience, likely participating in choruses and humorous banter with those on stage. Certainly alcoholic drinks were served, and it was not uncommon for society members to remain past midnight. Only men were members, and while some of London's music clubs regularly included women (e.g., the Catch Club), the presence of women at the Anacreontic Society was controversial, likely because of the discipline their presence required. Remarkably, the individual renditions were not infrequently noted by such papers as the Times. The soloist could be criticized for over-dramatizing the words, which suggests both that a standard of decorum was in force but also that communicating the lyric to heighten the tale of the club’s patronage by the Greek poet Anacreon and the god of music Apollo in compelling fashion was vital to the performance aesthetic. Club members sang the chorus in four-part harmony, thus repeating the last line of each stanza, and joined “hand-in-hand” (likely while singing along) to emphasize their fellowship in the final stanza. Possibly referencing the choral traditions of Greek drama, the collective's commentary here repeated and affirmed the lyrics delivered by the club's president or his stand in. Whatever the source of Key’s knowledge of the tune, it is likely that he experienced the melody in Maryland and the environs of the District of Columbia as an American patriotic tune used with various alternative lyrics at least since 1793 to articulate partisan debates, presidential politics, mourn George Washington’s death, and celebrate the Fourth of July. It is certain that Key knew the tune before he wrote his famous text, as he had previously created words for one other patriotic song using the melody: in December 1805 he wrote and sang “When the Warrior Returns” for a dinner party honoring two naval heroes, Commodore Stephen Decatur and Lieutenant Charles Stewart. 2. The name of the later, prestigious restaurant at which the club met, “the Crown and Anchor Tavern on the Strand.” Initially the club met at the London Coffee-house. 4. Other parody lyrics used for the tune, including “The New Bibo” and “Jack Oakum in the Suds,” both of which feature the cliché of a drunken sailor. 5. The 1920s debate over whether or not “The Star-Spangled Banner” should be named the country's official national anthem. Any association with alcohol was particularly damaging to the song's candidacy during this America’s prohibition era (1920–33), precisely when legislation naming the Banner the official United States anthem was being considered. Those against Key's song as anthem celebrated its “drinking song” ancestry. 6. The Internet's ability to share, repeat, and reinforce this reputation. 1. Rather than a pub, the Crown and Anchor Tavern on the Strand was a fashionable restaurant with a large ballroom that entertained many of London's leading clubs and political associations. The prestige of the venue was such that the Society printed the restaurant's name on the 1779 souvenir sheet music imprint of its anthem, while the name of the composer was left off (presumably because he was a hired hand and not a member). The size and scale of the meetings required a large venue accustomed to hosting sizable gatherings and with felicitous acoustics, such that a ballroom could be set for an orchestral concert, with attendees retiring to another room for supper, while the main room was reset for an evening of song. Such a venue is a far cry from a pub. 3. The earliest references in print that I have found to the tune Anacreon as a drinking song do not appear until the later 19th c. and invoke not “The Anacreontic Song,” but two other 18th-century parodies of the melody that spoof military heroism: “Jack Oakum in the Suds” and the earlier and more frequently anthologized song “The New Bibo” (1789). While their humorous intent is clear, within the context of club meetings they may have functioned less as “drinking songs” than morality tales urging moderation. In each a British sailor dies from over indulgence and is propelled to the banks of the River Styx, where he encounters the ferryman Charon. Hijinx ensue, and in the case of Jack Oakum, the “old seaman” assumes Charon's job but requires payment in grog. 4. Temperance songsters from the 1840s through '60s, use the melody (referenced as “The Star Spangled Banner,” not “Anacreon”) for lyrics describing the social cost of drunkenness and, by implication, arguing by means of patriotic melody that the United States should ban alcohol. While it is possible temperance activists had a wicked sense of humor, it is more likely that they knew nothing of the melody's connections with alcohol. More compelling than the question about whether the label “drinking song” is or is not accurately connected with “The Star-Spangled Banner” is the question of why the idea is so persistent and popular, especially today. Certainly the Internet facilitates the claim, but it's intriguing to consider that the idea is attractive because it reinforces aspects of American ideology while also counteracting certain troubling components of national identity. The notion of a populist drinking song transformed into the official national anthem of a global military, economic, and cultural Superpower fulfills desires of our national narrative—that an upstart and democratic people with a can-do “Yankee Doodle” spirit could rise above their elite European ancestors to transform a ragtag colony into a nation due international respect. Similarly, the anthem as drinking song narrative offers the image of an always unified, sonorous, and fun-loving people as substitute for the nation's more discordant history of struggle to find community across boundaries of race, class, ethnicity, and gender. In actuality, the dozens upon dozens of forgotten lyrics of patriotism and protest fundamental to the journey of “The Star-Spangled Banner” and its melody from club anthem to patriotic victory song to national anthem tell a more motley, but engaging tale. NOTE: Whether or not the average singer today might have better odds of hitting the Banner’s high notes after steeling him or herself with a brisk shot is a matter outside the bounds of this study. 1. See the online resources page of starspangledmusic.org for informative links addressing the national anthem. 2. Another oft-repeated myth about the Banner is that someone other than Key matched the text of his “poem” to the Anacreontic melody. Research as well as common sense shows, however, that Key had the melody firmly in mind when he composed the text, which therefore should be considered at its inception to be a song lyric, not simply a poem. See the discussion of “When the Warrior Returns” below. 4. Lichtenwanger, p. 5, quoting Charles Morris et al., The Festival of Anacreon ... (7th edn., London: George Peacock, ), pt. 1, pp. 6–7. 5. London Times, 24 January 1791, p. 2. 6. Richard S. Hill traces 85 lyrics using the melody of “The Anacreontic Song” in his 1951 article “The Melody of ‘The Star Spangled Banner’ in the United States before 1820,” in Essays Honoring Lawrence C. Wroth (Portland, ME: The Anthoensen Press, 1951), pp. 151–93. Hill limits his exploration to songsters and thus misses examples printed only in newspapers. A definitive study tracing lyrics to the melody since 1820 remains to be completed. 7. “The Social Club” in the Baltimore Musical Miscellany, or, Columbian Songster (Baltimore: Cole and Hewes for S. Butler, 1805), Vol. 2, pp. 158–60. NOTE: 2014 marks the Gluck tercentenary and the bicentenary of The Star-Spangled Banner. We treat the latter in a forthcoming post. But was Gluck Bavarian or Bohemian? Gave rise to men of immortality! Has brought art home to us. Offer each other a brotherly hand. The monuments in Bavaria and the Berching Gluckjahr festival bring to mind the ease with which later writers manipulated the composer’s biography to meet personal aesthetic, nationalistic, and political agendas. In the nineteenth century, Gluck’s identity was always changing: at one moment a dogmatic German fighting against the excesses of Italian and French opera; at another, a child of Nature, absorbing music from his Bohemian homeland. 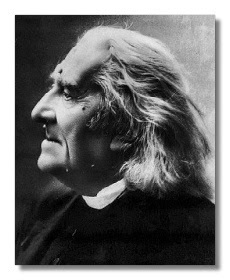 In the end it did not matter where the composer was born and where he grew up—nor even what language he may have first spoken. His nationality was most often derived by agenda. If you visit Berching to celebrate Gluck’s 300th birthday, then, you might want to think less about Germany, or Bavaria, Bohemia, and more about E. T. A. Hoffmann's evocation in his novella Ritter Gluck (1809): of Gluck as a wandering spirit whose sense of revolution transcended national borders. 1. Daniel Heartz, “Coming of Age in Bohemia: The Musical Apprenticeships of Benda and Gluck,” Journal of Musicology 6, no. 4 (Autumn, 1988): 518. Additionally, Alexander Rehding notes the difficulty in placing Gluck in the German or the Austrian Denkmäler series, when they started in the 1890s (Music and Monumentality [Oxford: Oxford University Press, 2009], 142). 2. Patricia Howard, Gluck: An Eighteenth-Century Portrait in Letters and Documents (Oxford: Clarendon Press, 1995), 1. 4. Gerhard and Renate Croll, Gluck: Sein Leben, seine Musik (Kassel: Bärenreiter, 2010), 17. 5. Ignaz Franz Edler von Mosel, Über das Leben und die Werke des Anton Salieri (Vienna, 1827), 93; translated in Howard, Gluck: An Eighteenth-Century Portrait, 238-39. Salieri’s memory, however, was filtered through Mosel, and there are no correspondences from Gluck in Czech to back his claim. 6. Anton Schmidt, Christoph Willibald Ritter von Gluck, dessen Leben und tonkünstlerisches Wirken (Leipzig: Friedrich Fleischer, 1854). 7. 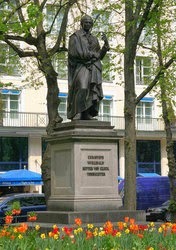 Gluck did stop at the Inn Zum goldenen Hirschen on his trips between Vienna and Paris; see Robert Münster, “Christoph Willibald Gluck und München: Aufenthalte und Aufführungen bis 1787,” in Festschrift Otto Biba zum 60. Geburtstag, ed. Ingrid Fuchs (Tutzing: Hans Schneider, 2006), 71-72. 8. Joseph Hartmann Stuntz, “Dem deutschen Tondichter Gluck. 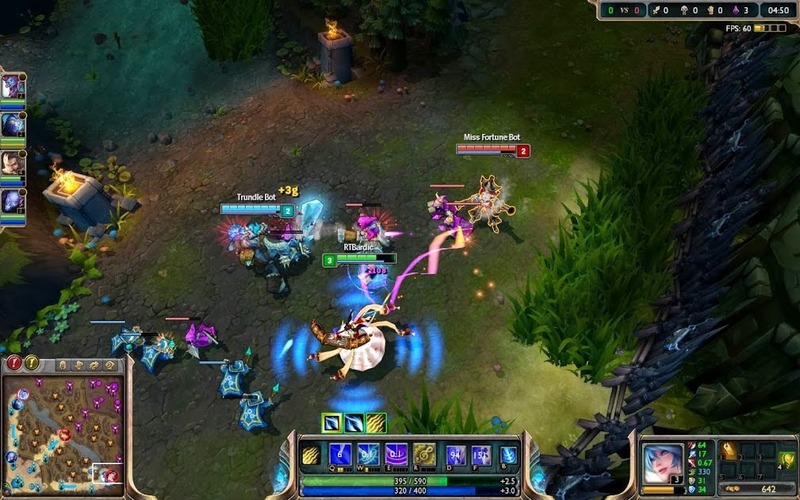 Geb. den 4. Juli 1714 in der Oberpfalz, gest. den 17. Nov. 1787 zu Wien, Festgesang bei der Enthüllungs-Feier sei[n] es Denkmals zu München den 15. Oktober 1848.” The text for Stuntz’s Festgesang has been made available through the Bayerische Staatsbibliothek website HERE. 9. The score (Mus. ms. 4037) and parts (Mus. ms. 4038) are located at the Bayerische Staatsbibliothek. A description of the event is in -f-, “Das Glucksdenkmal zu München,” Neue-Illustrirte Zeitschrift für Bayern 5, no.1 (1849): 5. Apparently, due to the civil unrest of the 1848 Revolution, the unveiling was not well attended. 10. This account is found in Johann Christian von Mannlich’s memoirs, Histoire de ma vie, which circulated in manuscript form throughout the nineteenth century (Howard, Gluck: An Eighteenth-Century Portrait, viii). Parts of Mannlich’s account were excerpted for the article “Gluck à Paris en 1774,” in La Revue musicale (1934); selections have been reprinted and translated by Daniel Heartz, “Coming of Age in Bohemia,” 521, and Patricia Howard, Gluck: An Eighteenth-Century Portrait, 3. 11. Both Howard and Heartz note certain inconsistencies in Mannlich’s account. In her article “The Wandering Minstrel: An Eighteenth-Century Fiction?” (Eighteenth-Century Fiction 13, no. 1 : 41-52), Howard observes the similarity between some of Mannlich’s narrative and popular “wandering minstrel” narratives from the eighteenth century. 12. “Gluck in Paris” first appeared in the Neue Zeitschrift für Musik, as J. Burmeister-Lyser, “Gluck in Paris: vom Verfasser des ‘Vater Doles’ etc.” 5, nos. 45-49 (December 1836): 179-80, 183-84, 187-89, 191-92, 195-96. It was later republished in the second volume of Lyser’s collection Neue Kunst-Novelle (Frankfurt am Main: Johann David Sauerländer, 1837), 77-114. Translations of Lyser’s novella come from Elizabeth Fries Ellet’s Nouvellettes of the Musicians (New York: Cornish, Lamport & Co., 1851), 184-200. The novella was translated into French for the Belgian journal La Renaissance: Chronique des arts et de la littérature 1 (1839-40): 145-50. Lyser, along with many other 19th-century writers, believed that Gluck was Méhul’s teacher. 13. “Nicht Weidenwang, nicht Neuschloss konnte der Kleine als seine Heimath empfinden lernen; der Wald war es, der Wald mit seinen träumerischen Schatten, mit den märchenhaft durchzitternden Streiflichten”; A. B. Marx, Gluck und die Oper (Berlin: Otto Janke, 1863, reprint, Hildesheim: Georg Olms, 1980), 14. 14. Marx, Gluck und die Oper, 15. 15. Howard, Gluck: An Eighteenth-Century Portrait, 109. 16. “Etwas über Glucks Iphigenia in Tauris und dessen Armide,” Berlinische Musikalische Zeitung 2, no. 15 (1806): 58. Reichardt’s use of the word “Comedian” here was likely an allusion to Piccinni’s wonderful contribution to the opera buffa tradition. 17. 18th- and 19th-century writers often emphasized Gluck’s interactions with other 18th-century German intellectuals to suggest that Gluck planned on composing a German opera and other works for the German-speaking public. Carl Friedrich Cramer published an anecdote in his Magazin der Musik in 1783 describing Gluck and Klopstock’s meeting at the court of the Margrave of Baden, where the composer and his niece sang the Odes to the poet. 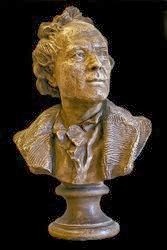 For Christoph Martin Wieland’s Teutscher Merkur (Weimar, 1776), Philip Kayser wrote “Empfindungen eines Jüngers in der Kunst vor Ritter Glucks Bildniße,” in which the narrator describes to the bust of Gluck the overwhelming emotional sensations he receives when hearing and playing his Odes. Howard has reprinted Gluck’s letter to Klopstock stating his intention to compose Hermannsschlacht, in Gluck: An Eighteenth-Century Portrait, 215. Visitors to Gluck’s house claimed they heard him perform the work from memory. See Howard, Gluck: An Eighteenth-Century Portrait, 234-35 for translations of Joseph Martin Kraus’s account of hearing Gluck perform Hermannsschlacht. Gluck’s plan for Hermannsschlacht was first made public by Friedrich Rochlitz in “Glucks letzte Plane [sic] und Arbeiten,” Allgemeine musikalische Zeitung 11, no. 25 (22 March 1809): 387-90 written as a statement from the composer’s student, Salieri. Additionally, Gluck himself oversaw the German translation of Iphigénie en Tauride by Johann Baptist Alxinger for the 1781 visit to Vienna of the Russian Grand Duke, which famously delayed Mozart’s Entführung aus dem Serail. 18. “Es gereicht der Direction zu hohen Ehre, daß sie uns diese Monumente deutscher Kunst, die der deutsche Orpheus Gluck mit dem unwiderstehlichen Zauber seine Gesanges, so kraftvoll und wahr schuf, daß sie die Bewunderung der Nachwelt in dramatischer Hinsicht bleiben werden, und deren Genuß wir so lange haben entbehren müssen––mit der Pracht und der Würde auf unserer Bühne aufstellt, die wir dem Andenken dieses großen deutschen Künstlers schuldig sind.” Review of Orpheus by Christoph Gluck (Nationaltheater, Berlin), 23 April 1808, in the Vossische Zeitung. What does the W. W. stand for, and who was this M. D. Herter Norton, anyway? Passing this along to Michael Ochs, who was to the manor born. Siehe nachfolgend. Every musicologist is familiar with the firm of W. W. Norton, publisher of the time-honored Music in Western Civilization by Paul Henry Lang, published in 1941 and actively in print for 65 years; Donald J. Grout’s 1960 History of Western Music, whose ninth edition is due this spring; The Enjoyment of Music by Joseph Machlis (whose immigrant father was a typesetter for a Yiddish newspaper), published in 1955 and now in its eleventh edition; Nicolas Slonimsky’s first book, Music Since 1900, a tome of some 600 pages whose sixth edition of 2001 (published by Schirmer Reference) had doubled in length; and the eminent period histories of Western music begun in 1940 with Gustave Reese’s Music in the Middle Ages and concluded 69 years later by Daniel Heartz’s classical-era trilogy covering 1720 to 1802. But how did the firm named for its co-founder, William Warder Norton, ever get into the business of publishing such “books that live in music,” a phrase the company used for many years? The dedication in my well-worn copy of Reese’s Music in the Renaissance provides a clue: “To M. D. Herter Norton, who prompted the writing of this book and its predecessor.” So who was this M. D. Herter Norton anyway, W. W.’s father? brother? son? As it turns out, “M. D.” was a fine violinist, a respected translator, and the co-founder of W. W. Norton & Company. Known to her friends as Polly, Margaret Dows Herter Norton was also W. W.’s wife. The Nortons established the company in 1923, and in fall 1926 issued “A First Catalogue of Books,” listing all their thirteen titles, including The Meaning of a Liberal Education; Psychology; Behaviorism; and Industrial Psychology. Several books were aimed at “busy people today, with limited time for reading, [who] want their information in as concise a form as possible.” The books were said to “slip conveniently into the pocket and . . . may be had for only a dollar a volume.” By this time, Polly had already published The Art of String Quartet Playing with Carl Fischer, Inc., prompting words of praise from H. L. Mencken, among others. Other Norton writers from the 1930s include Carlos Chávez and Herbert Weinstock, co-authors of the curiously titled Toward a New Music: Music and Electricity; David Mannes, co-founder of the eponymous College of Music; David Ewen; Douglas Moore; Ernst Krenek; and ethnomusicologist Helen H. Roberts, who wrote on ancient Southern California Indian songs. The Young Cosima, a novel about the daughter of Franz Liszt and second wife of Richard Wagner, was the product of “Henry Handel Richardson,” pen name of the successful writer Ethel Florence Lindesay Richardson. That five music books from this fledgling publisher were written by women can surely be attributed to the influence of Polly Norton. But Polly Norton’s publishing of other people’s books was only one part of this multifaceted woman’s accomplishments. Beginning with Stories of God in 1932, she herself translated and published, under Norton’s imprint, nine volumes of works and letters by Rainer Maria Rilke. (Her Rilke translations have been set to music by George Perle, David Diamond, and others.) She also translated Walter Wiora’s The Four Ages of Music, two books containing MGG (Die Musik in Geschichte und Gegenwart) articles on historical eras by Friedrich Blume, and several non-music books. And she teamed up with composer Roy Harris to arrange Bach’s Kunst der Fuge for string quartet, first recorded by the Roth Quartet in 1935. Less well known is her involvement in the early years of the American Musicological Society. She wrote about the founding of the Society in the first issue of its Bulletin, whose entire run from 1936 to 1948 she edited. She then served for ten years on the editorial board of its successor, the Journal of the American Musicological Society, writing the journal’s very first review. (All the other original board members have highly recognizable names: Strunk, Broder, Coopersmith, Einstein, Grout, Kinkeldey, and Sachs.) All the while, she co-authored, edited, or translated articles for the The Musical Quarterly by such luminaries as Marc Pincherle, Georges de Saint-Foix, Henri Prunières, Willi Reich, Karl Geiringer, Arthur Mendel, and Hans David. Michael Ochs is former Richard F. French Librarian at Harvard and past music editor at W. W. Norton & Company. He recently completed a piano-vocal score of Di goldene kale (The Golden Bride), a 1923 Yiddish-American operetta, for a concert performance by the National Yiddish Theater–Folksbiene in May. A critical edition of the full score will be published in the MUSA series: Music of the United States of America. Scholars, why is your writing and research important to your readers? If you can’t answer that question with conviction, in two sentences or less, I hope this post will persuade you to adopt a professional New Year’s resolution: devise an elevator pitch for whatever project you are working on now. My work involves reading and hearing a lot of pitches, so I value concise, intriguing descriptions of projects. But a strong elevator pitch isn’t only about trying to get published. (Though it definitely helps!) Being able to communicate clearly to any interested listener is part of keeping musicology alive and intriguing to colleagues outside the academy, as well as those inside. I work for a university press with a strong musicology list, so I get to read, think, write, and talk about musicology every day. But the day-to-day texture of my job is more like being a movie producer than being a scholar. I spend the majority of my time reading, thinking, writing, and talking about budgets, marketing plans, and business models that will enable the University of California Press to get the best scholarship into the hands of readers who need it. Selecting the projects to publish is the first step, and as with any other situation you could name, first impressions are crucial. The two-sentence pitch is an art form that all scholars, at every stage of their career, ought to master. I read and hear a lot of project descriptions that carry on for two paragraphs, two pages…longer…..without ever presenting a clear statement of the thesis and why it matters. What is the argument? Why is it important to readers? Two important questions, two sentences to answer them: that’s an effective pitch. Whatever details are supplied, I probably won’t be engaged enough to seek them out if the answer to those two questions isn’t clear immediately. Why the rush? The elevator pitch isn’t about speed. It is about giving your ideas their greatest possible chance to make a strong first impression. A concise, clear statement of the goals of your scholarly work is the intellectual Swiss army knife you need to write job letters, create grant applications, make strong conference presentations, impress your dean, and have the kind of coherent exchanges with other academics that can lead to interdisciplinary dialog. Not to mention stimulating discussions with your in-laws, neighbors, and the people who have season tickets next to you. You are probably the only musicologist they will ever meet: think of it as a way to make a good impression on behalf of the profession as a whole. Higher education, and the humanities in particular, are the focus of an enormous amount of public scrutiny these days. A coherent and appealing presentation of your ideas is one of the most effective ways to show non-musicologists that what we do is interesting and valuable. The first step to crafting a sure-fire elevator pitch is to take a step back from the daily work of researching, analyzing, writing, and teaching and ask yourself: why is this material important to my readers? Writing is solitary and difficult work, and a major project can take years to bring to the point where it is ready to be published. No one in their right mind undertakes an intellectual effort on that scale if they don’t believe what they are doing is important. A project becomes important to a scholar because she is fascinated by it, and in time, the fascinating aspects become so self-evident that she no longer perceives the need to articulate why the project might be important to others. This is every writer’s challenge and responsibility: explain to your audience why something they don’t yet understand, or even know about, is significant and should change how they think. A strong pitch can and should be refined to suit different audiences. A job interview committee will respond to a pitch that relates clearly to the teaching they want you to do, while a publisher will be looking for signs that you understand how your work goes beyond what has already been published in your area. (The same goes for practicing delivering the pitch. Yes, you are going to practice giving your pitch before you go to the AMS conference, the job interview, the coffee date with the editor, your spouse’s company’s holiday cocktail party.) But regardless of the audience a strong pitch sticks to basics: be specific, be concise, be clear, don’t assume that the significance of what you are doing is self-explanatory. Don’t forget to offer palpable signs of why you believe in the work you do. Take it from someone who has heard of lot of pitches: clarity paired with enthusiasm is hard to beat. Mary C. Francis is Executive Editor at the University of California Press, where she acquires projects in music, cinema and media studies. She worked at Yale University Press, Oxford University Press, and Mayfield Publishing before joining the University of California Press in 1999. The Composers’ Forum was a weekly series of new and contemporary music concerts sponsored by the Federal Music Project and Works Progress Administration (WPA). It showcased such diverse composers as Aaron Copland, Amy Beach, Henry Cowell, and Ruth Crawford Seeger. Q&A sessions between composers and audiences followed the concerts, prompting discussions, arguments, and sometimes even riots, documented in nearly complete transcripts. A storyteller at heart, I am fascinated by the stories history has to tell—particularly the period encompassing the New Deal. When I first discovered the transcripts of the Composers’ Forum in the bowels of the National Archives II, it took only moments for my interest to be piqued. Here were stories! Untold stories! I dove into the transcripts and emerged, my head reeling with discoveries. From there I embarked on my project, the telling of the little known history of the Composers’ Forum. I was overwhelmed by the diversity of composers and musical styles represented, and I particularly wanted to talk about the composers who have since been forgotten. Following the most prominent and vigorous threads of dialogue, I delved into a vast array of composers, transcripts, and topics, in search of the political and artistic trends that affected the composers, their music, and the responses to their music. Melissa J. de Graaf is Associate Professor of Musicology at the Frost School of Music at the University of Miami. 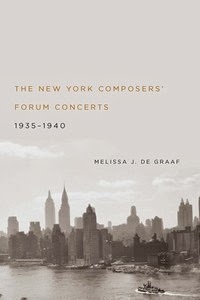 Her book The New York Composers’ Forum Concerts, 1935-1940 was awarded the H. Earle Johnson Book Publication Subvention by the Society for American Music in 2013. She is currently working on her second book, Stars, Suns, Moons, and Mountains: Nature, Gender, and the Ultramodernists.